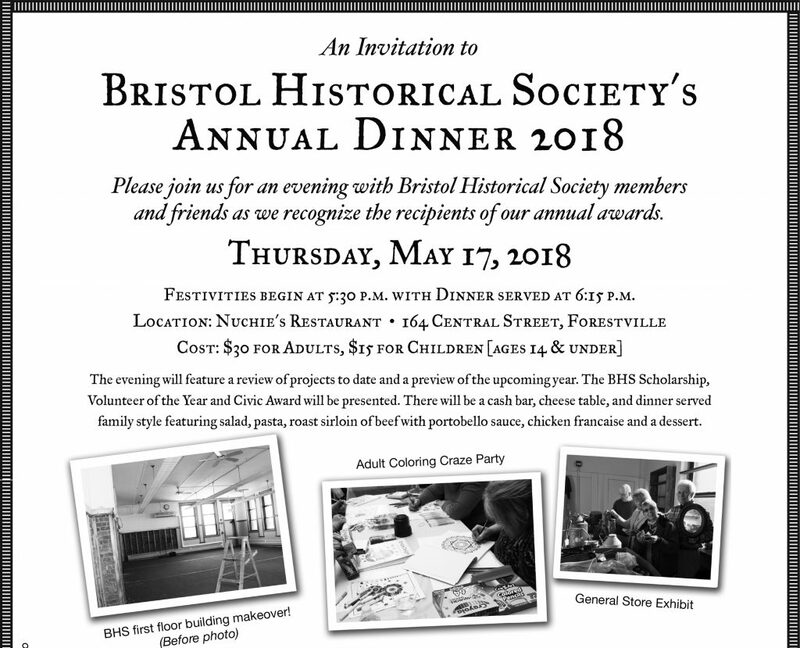 The Bristol Sports Hall of Fame will host a “Bristol Sports Trivia Night” at the Bristol Historical Society on Thursday, May 2, 2019. The program will begin at 7pm and is free to the public. Doors will be open at 6:30pm and refreshments will be served. There will also be prizes for the winning teams! 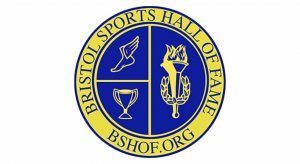 Please visit the BSHOF website at www.bshof.org for more details about this fun night or call 860-589-2415. The stories behind the classics with film clips and rare photos. 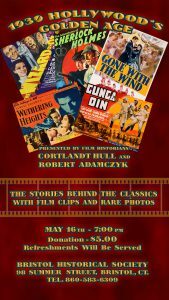 Presented by film historians Cortlandt Hull and Robert Adamczyk. $5 donation, refreshments will be served. 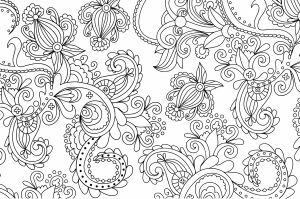 Coloring Craze Party at the Bristol Historical Society continues on Friday, May 17 from 7-9 pm. Bring your coloring books and supplies and we supply the wine and cheese. 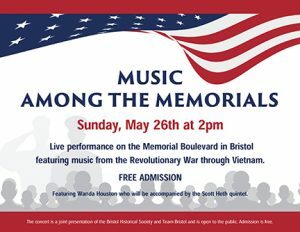 The Society is located at 98 Summer Street Bristol, $5 entrance fee, pre-registration is required, but walk-ins are welcome. For mail requests write to Color Craze BHS PO Box 1393, Bristol, 06011-1393 or call at 860-583-6309. The annual BHS Tag Sale fundraiser will be May 24th& 25th! 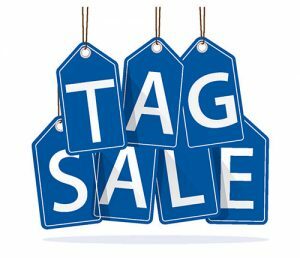 Tag Sale hours will be 9AM –2PM both Friday and Saturday. This is Memorial Day Weekend. Any gently used donations would be greatly appreciated. Pickups can be arranged if necessary. Contact Jackie Vigue at 860-944-0738. Last year the bake sale proved to be popular. If you enjoy baking, please consider sending something to share! Items can be brought in Friday after 8am and until 2pm for Saturday. Thank you! 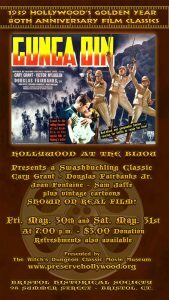 Hollywood at the Bijou presents "Gunga Din" a swashbuckling classic with Cary Grant, Douglas Fairbanks Jr., Joan Fontaine and Sam Jaffe plus vintage cartoons shown on REAL film!